The 12 shot ring caps are used with a number of our different cap pistols to create the effect of a firing gun. 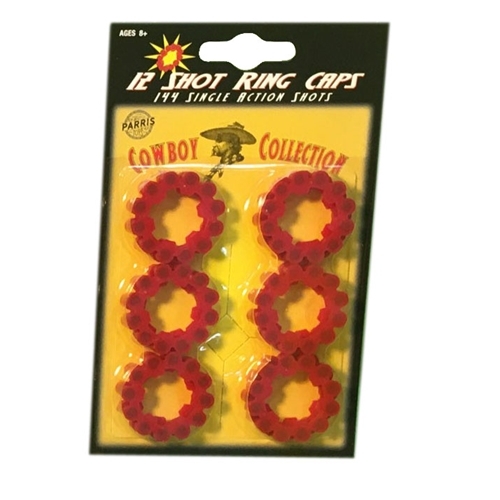 Each package includes a dozen 12 shot rings giving you a total of 144 shots. These ring shot caps add a sense of realism to compatible pistols. See below for a few of the different guns that use this style of ring caps.